This February Glitterbox takes over Jealous Gallery in Shoreditch with a free exhibition celebrating five years of moments, music and people at the party. 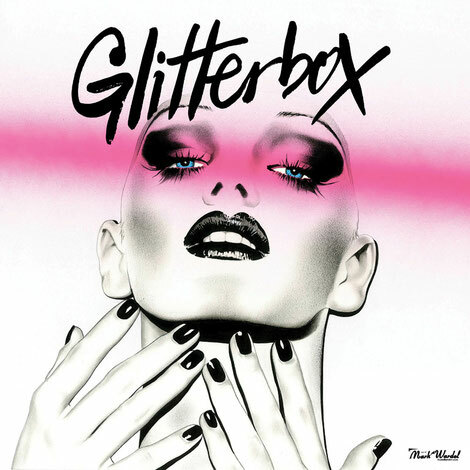 Running from Tuesday 13 February until Sunday 18 February, Glitterbox x Jealous Gallery will showcase iconic artwork by artist and Blitz Kid Mark Wardel exhibiting his exclusive original works that will be available to purchase as limited, signed prints. The work of the club’s resident photographer Gavin Mills will also be on display including never-before-seen photography from the last five years. Archive flyers, posters and graphic prints will also be on show. The exhibition, open between 11am and 7pm each day, will reveal brand new artwork for the 2018 season and be accompanied by some very special gallery events (to be announced). Founded in Ibiza by London’s Defected Records, Glitterbox has grown exponentially over the last six months, touring the world and possibly becoming one of London’s most in-demand parties, apparently selling out shows months in advance. Jealous is a contemporary gallery, print publisher and printing studio, based in East London’s creative hub of Shoreditch. Known for its collaborative approach to producing high quality, limited edition prints with artists, galleries and designers.